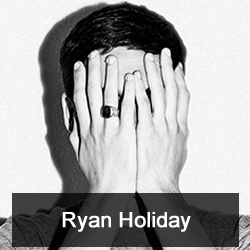 Today’s Flash Back Friday takes us back to Episode 85 with Ryan Holiday. Ryan Holiday is the Director of PR Strategy at American Apparel and author of, “Trust Me, I’m Lying: Confessions of a Media Manipulator.” He explains how he manipulated the media and lied his way to MSNBC, Inside Edition, ABC, NY Times, and many more outlets. Ryan believes contemporary blogging practices are similar to 19th and 20th century yellow journalism. He thinks big business drives today’s media.